KTM Freeride e-xc battery voltage? Seems that KTM is running a 300 v battery. Why did the KTM choose to go for such a high voltage battery pack? Are they getting any benefits from running at 300v that they couldn't get at 150v or even at 100v? From what I read a year or two back, the motor is made in-house to their specs. Why would KTM design a motor and controller that work at such high voltage, when lower voltage could do the same job? I am sure the clever engineers at KTM got a reason for choosing 300v pack. But why? Re: KTM Freeride e-xc battery voltage? The newest Freeride has 18kW peak and about 10kw continuous from what i know, so less than 100V components would make more sense in terms of costs, power density and such things. For 300V it needs a BMS for minimum 80s. Yes the current is lower and the wires can be made of thinner gauge, but thats all. Otherwise i can only see downsides in terms of costs and complexity. Could it be something to do with the watercooled transverse flux motor they're using? ktm uses igbt based controller hence the small controller size, the battery is made by 3x24s battery block and 3x 24s bms connected in series. Don't really know those flux motors, but as with bldc motors surely those flux ones can run various voltage? And if you think of it, 18 kw peak is not really high. If they run 3/4 lower voltage they could use the same number of cells for larger Ah and more range? My post was a question not a statement. TFMs are BLDCs; swicthed DC and no brushes. They are also PMSMs. So what you say makes sense to me. 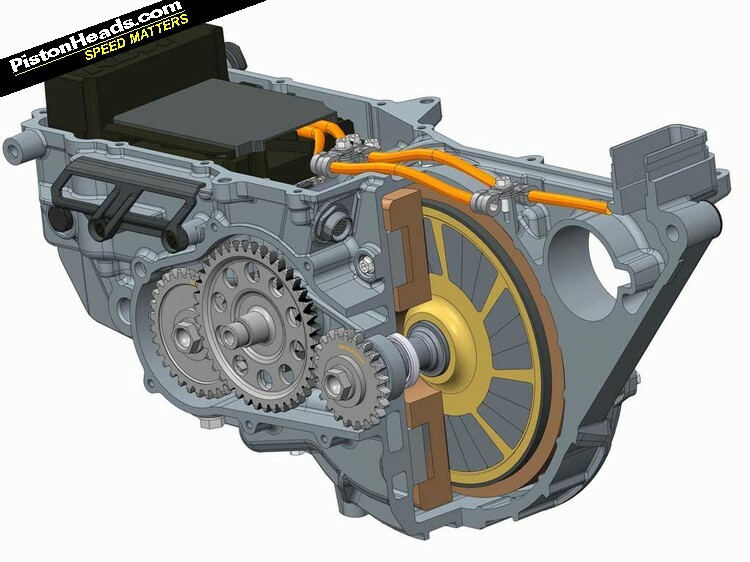 Looking at their picture, it looks like KTM are also using a gearbox; which makes their choice of TFM rather strange as (AFAIK) the TFM's primary raison d'être is that it produces high torque with a low kV. i think they choose a 300v System , because it´s much easyer to keep things like the controller cool down. Btw. the motor inside the freeride is from the german Heinzmann Group. What am I missing here? I can't see any reason to choose 300v over 96v? I mean available real estate would dictate 48v or 96v. Then adding rest of cells as parallell? Any cells added to series (above a bare minimum) will take away useful c rate and ultimate also range as high c load will strain more on a smaller battery with high voltage? Controllers freely interchange amps and volts to achieve desired output. So having 300v means 18kw can be achieved with 60 amps. Since heat is the enemy of efficiency you are better off supplying low current at high voltage. There are other factors like safety, bms wiring and, hv components but they must have done the math and determined this was the best design for them. Maybe its lighter because because the lower amps require smaller wiring and less load on the connectors and battery spot welds. The range will be determined by the mass of battery regardless of parallel and serial construction within reasonable limits. I get that wh will give you the range. If you could choose to run 10s20p or 20s10p, the number of cells are the same, so is wh. But you can draw more amp from the 10s battery for longer. And because of that battery should last longer as 10s20p. Does this makes sense? Or will the math always rule? If the power output is the same in both scenarios then the current will need to be 2x when the voltage is half. So you would be pulling the same current from each cell. The math always wins and thats before you even get into the more complex stuff. For instance. If you had the same gauge wire on your 2 example packs then the 20p being drawn at 2x the current would get hotter. Resistance goes up exponentially with temperature so now the 20p pack is way less efficient. This same thing happens in the motor copper. There is also a point of saturation in the motor where more current wont make more torque. There is way more to it but I dont know enough specifics about motors to really cover it. I dont believe there is a comparable point of diminishing returns with voltage in a motor. There is also the issue of available and affordable electronic components. Parts get expensive and big when the amp ratings start to go up. Thats why you dont see us all buying $150 lyen controllers with 2000amp mosfets. Look at the price and size of high amp connectors. Look at how much more a controller costs when you double the current but not much of a price increase to get a higher voltage model. In general its best to design for the highest voltage system you can safely and practically use. For many of us that limit is about 20s. For a company like KTM that has the engineering staff its probably a way better design choice to go high voltage. They can build it as an enclosed tamperproof system with good isolation whereas one of us would be risking certain death soldering an 80s lipo pack together on the kitchen table. Depending on motor design what about eddy current, up the voltage up the RPM then rise in eddy current will follow? Btw regarding safety of working with higher voltage, 2-300 voltage is not high voltage in the sense that it will kill us. Voltage is still low enough so the the amp is what will hurt us. When you grow up with 240 v outlet in your wall you are bound to encounter 240v running thru your body one time or another. So put high voltage fear aside and consider high voltage for your next high performing project. KTM like all the makers of smoke belching vehicles builds their electrics making choices that protect their primary business line. That means simple and cheap are out of the question, which rules out lower voltages especially when the high voltage keeps the general public more scared of electric. Plus staying above the high/low voltage threshold of government regs keeps things more expensive on the parts and service side.